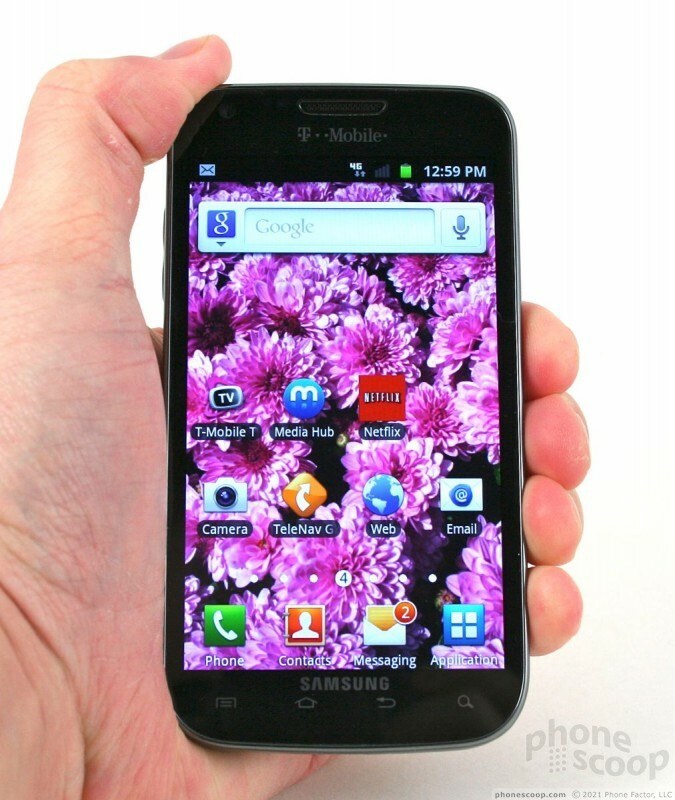 The T-Mobile variant of the Galaxy S II packs more of everything, it seems. It has a larger display, faster radio, and faster processor than the AT&T version, and outclasses the Sprint version when it comes to raw power (i.e., the ability to handle games). It's also heavier than the others, and feels much better in the hand. It's noticeably denser, and the materials are slightly higher in quality. 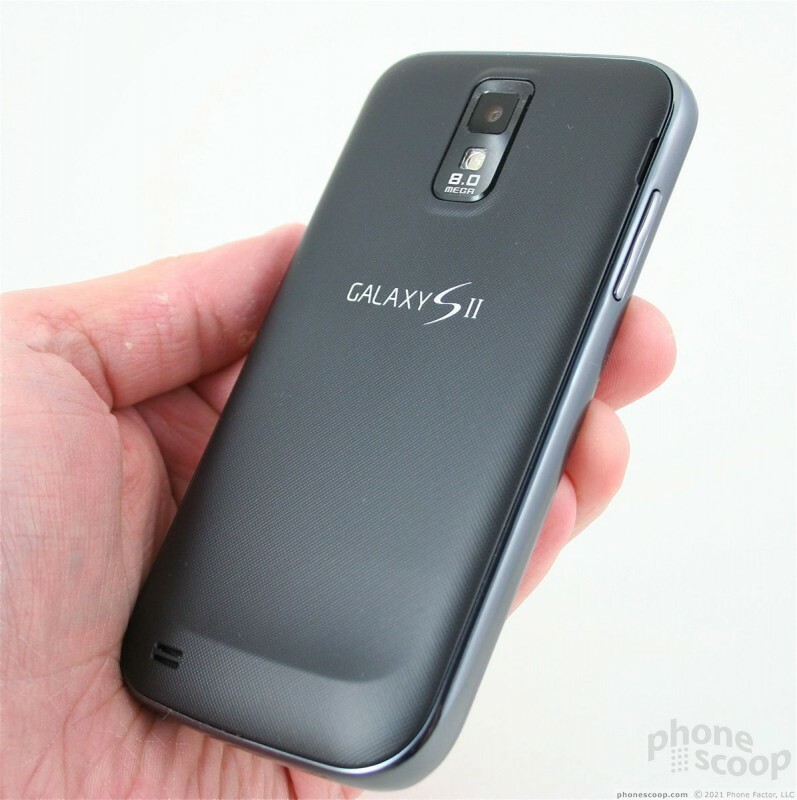 Rather than creaky plastics, the frame and components that make up the Galaxy S II's skin are solid and tightly assembled. It's still large, but will slip into pockets just fine thanks to its slim profile. It doesn't look much different than the AT&T and Sprint variants, but we can say the same thing of pretty much every Galaxy S device released in the last 12 months. They are all spartan, obsidian slabs and the T-Mobile version of the Galaxy S II doesn't do anything to break that mold. In terms of the controls of the device, they're identical to other versions. 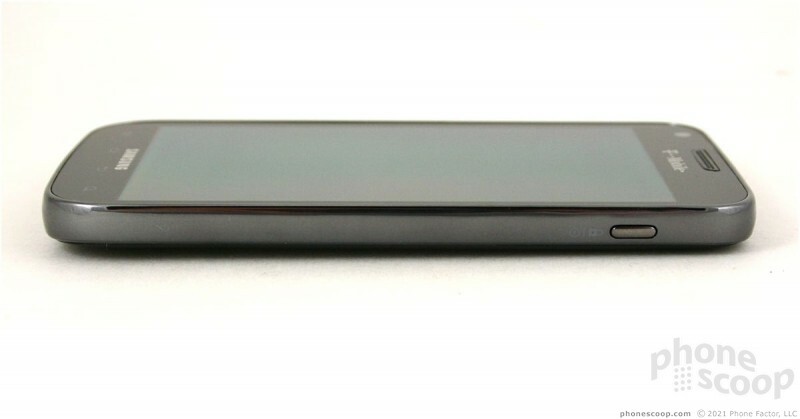 The screen takes up most of the front face of the phone and there are four touch keys along the bottom for the basic Android controls. I didn't have any trouble with these keys. 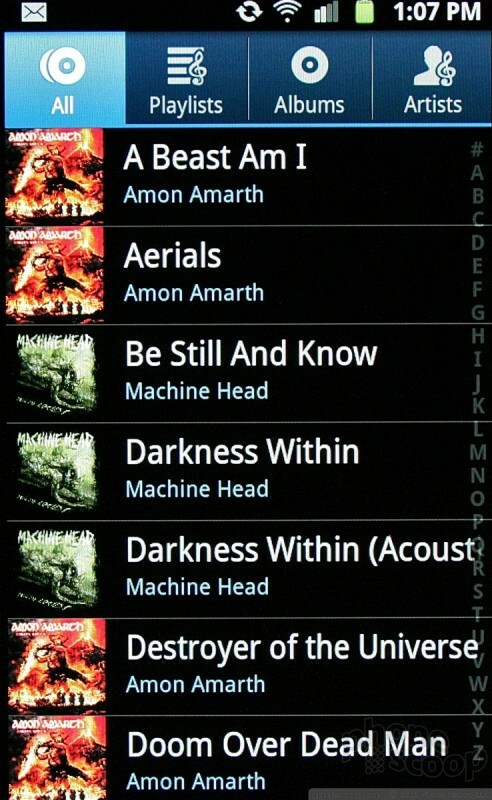 The volume toggle is on the left side of the Galaxy S II, and I don't like it much. The toggle itself is loose, and wiggles around a bit. Travel and feedback isn't all that good, either. At least the toggle is easy to find. 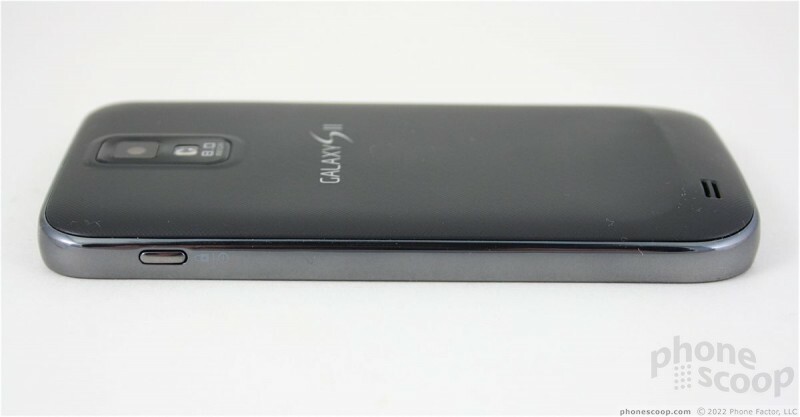 The microUSB port is on the bottom of the device and the power/lock button is on the right side, close to the top of the phone. The power/lock button is far too small, given how often it is to be used. It offers the same crummy feel that the volume toggle does, and because the side edges of the Galaxy S II are slightly angled, I found it difficult to find and use. The 3.5mm stereo headset jack is on the top edge of the phone, which is where I like it to be. 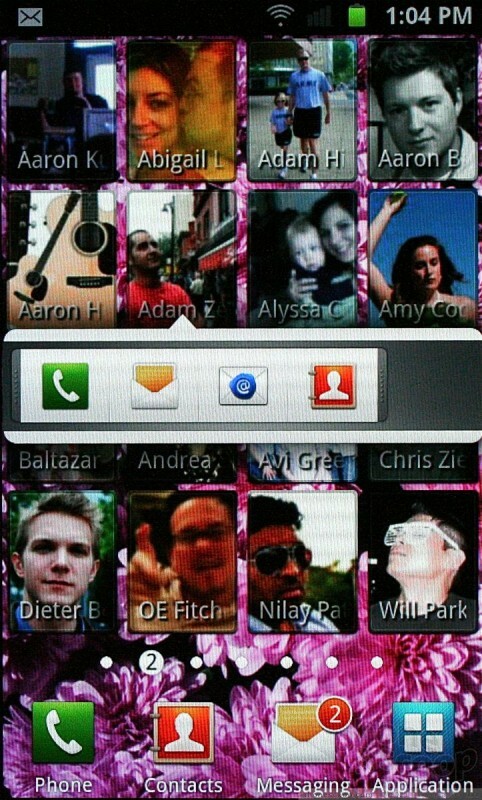 My favorite feature of the T-Mobile Galaxy S II is the battery cover. It's completely different from the others. 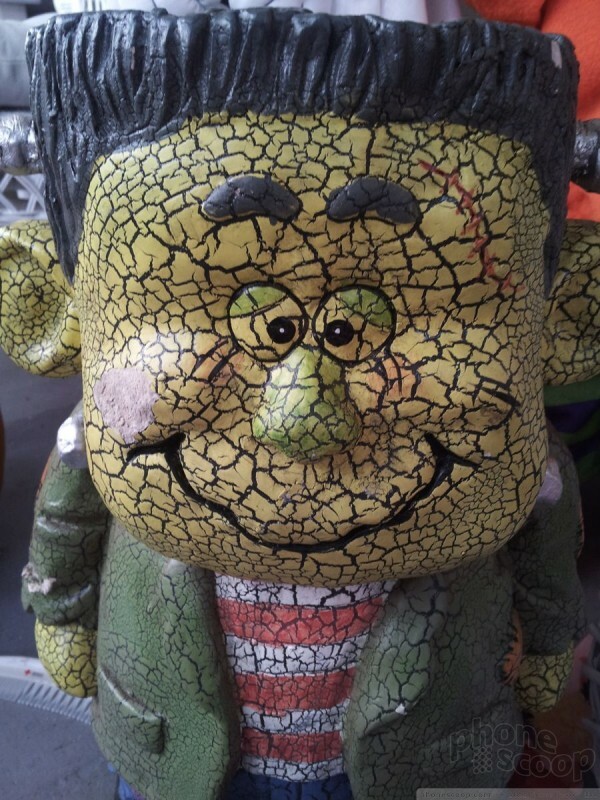 The plastic combines a soft-touch feel with a textured surface. The cover is also thicker, stronger, and of higher quality than the flimsy covers on the other variants. It feels like you're holding something from Batman's utility belt. It's not a feature I'd normally get excited over, but this material is awesome. With the cover peeled off, you can remove the battery, SIM card, and microSD card, each without disturbing the others. This is the way it should be; no need to pull one to get at the others. With its denser build, stepped up materials, and overall feel, the T-Mobile Galaxy S II is my favorite of the bunch so far. What's left to say about Samsung's Super AMOLED Plus displays? They're just about the best available from any smartphone. 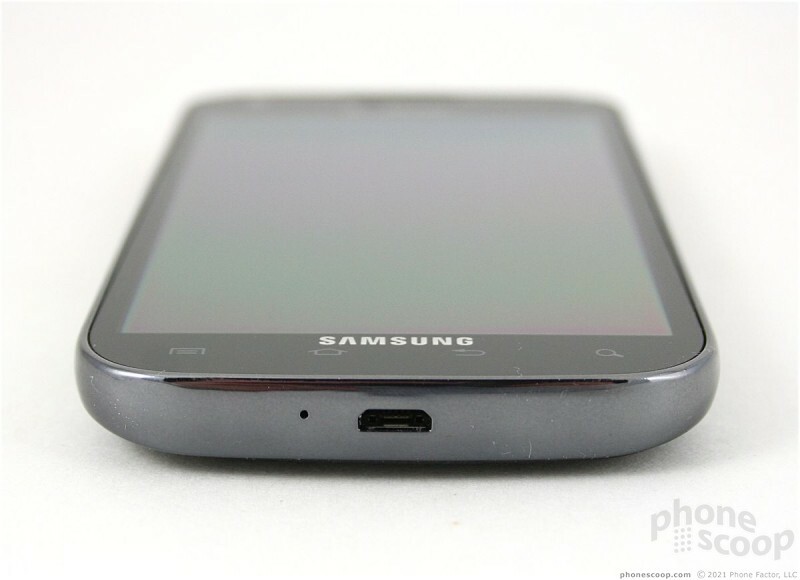 The Galaxy S II's 4.5-inch display looks amazing. It is bright, colorful, rich and warm, and everything looks razor sharp. Rich disagrees. A unit he is testing exhibits a blueish tinge and is rather dim. It offers an excellent space on which to browse the web, watch slide shows, view movies, and read emails. 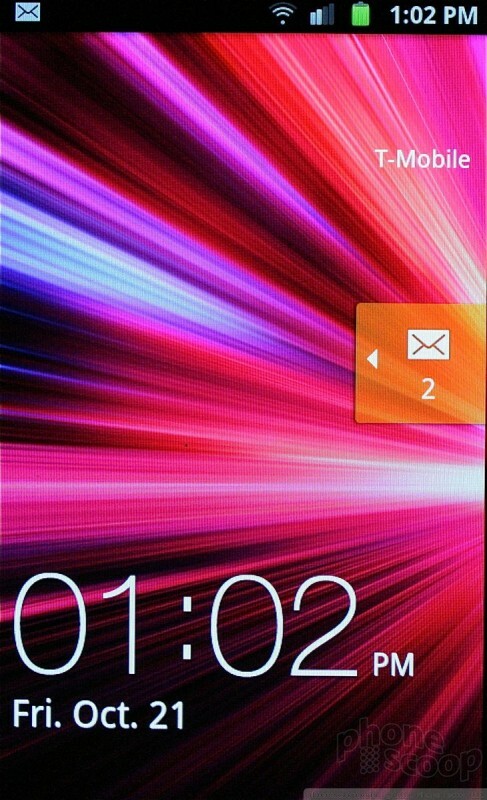 The T-Mobile Galaxy S II is the first smartphone that can access T-Mobile's HSPA+ network at the theoretical max of 42Mbps. I tested it along side the HTC Amaze 4G in New Jersey, New York City, and San Diego, and it behaved in much the same way as the Amaze. 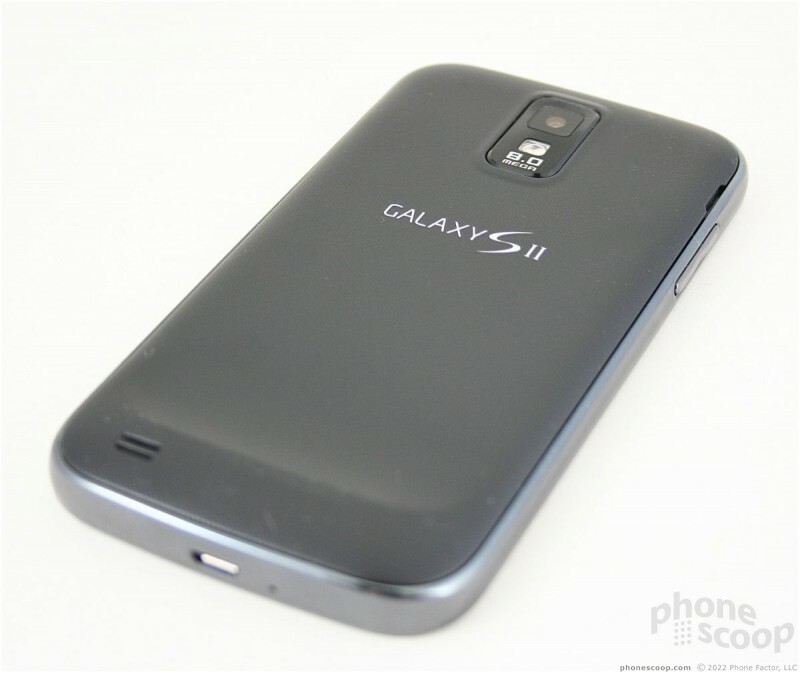 In northern New Jersey and New York City, the Galaxy S II showed strong signal performance. It always connected to the HSPA+ network and remained latched on tightly. The device didn't drop any calls, nor did it miss any during my tests. The signal indicator doesn't tell you what speed connection you have (i.e., 14.4Mbps v. 21Mbps v. 42Mbps). Throughout most of my testing, I was in areas covered with 14.4Mbps speeds. I was able to find several areas that offer 42Mbps, however, and in those areas mobile browsing speeds were noticeably faster. 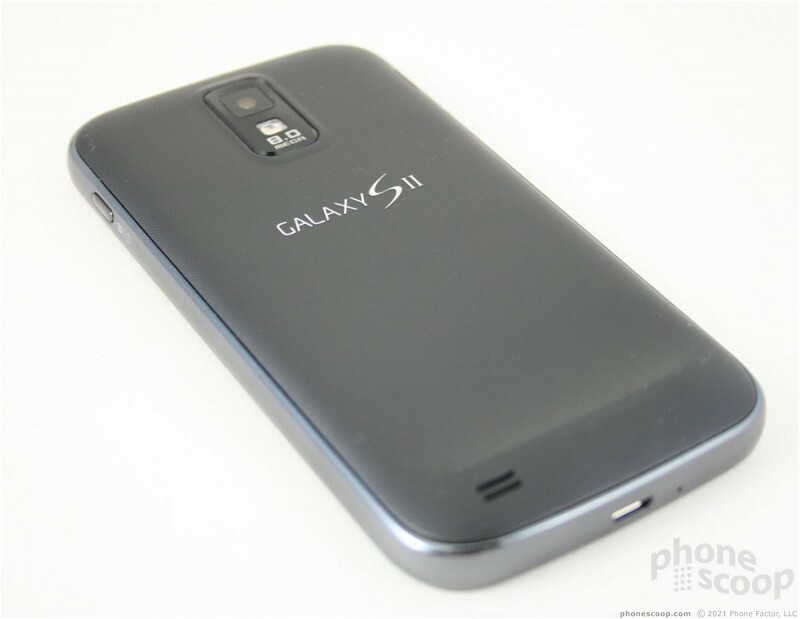 In San Diego, the Galaxy S II fared better than the Amaze did, but only just. It never dropped down to EDGE data speeds, thank goodness, but it never matched the speeds I was able to achieve in the NJ/NYC area. 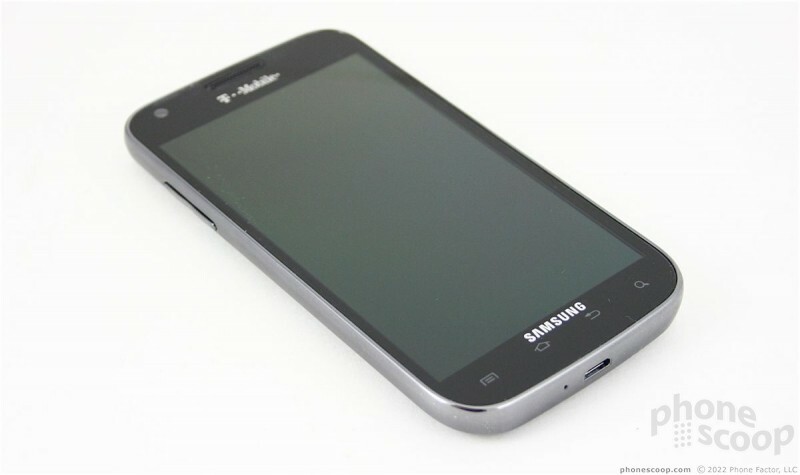 The Galaxy S II is an average voice phone on the T-Mobile network. Clarity of voice calls was good, but not perfect. I felt that voices sounded a little distant, and there was a low-level hiss in the background that never seemed to go away. Set to the maximum volume, the earpiece is loud enough for calls in most situations, such as a noisy office or coffee shop. It doesn't have the power to overcome really loud places, such as bars, busy restaurants, or city streets. The speakerphone sounds decent, though it includes the same hiss that the earpiece does. 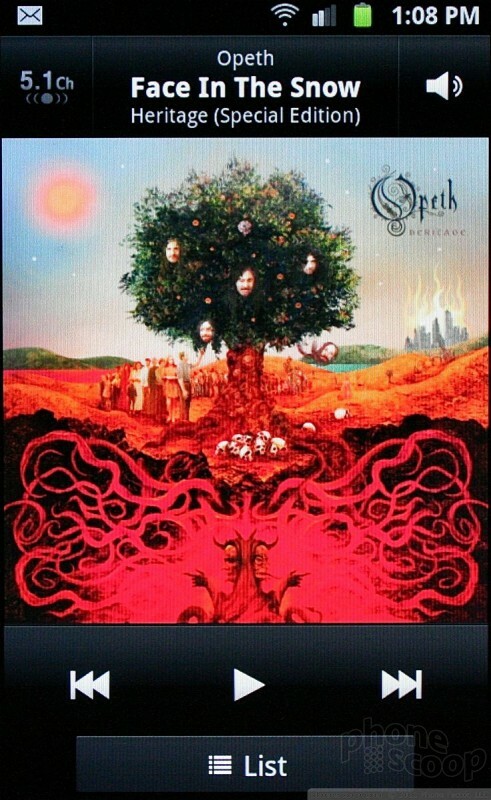 Volume of the speakerphone could definitely be improved, however. It might work in a closed office space, but won't work very well in a car or in a room full of kids. Ringers and alert tones are loud enough to be heard most anywhere, but I wished the vibrate alert were a touch stronger. As with most Android smartphones of this caliber, battery life depends a lot on how the device is used, but averages out to about a single day. If you use it meagerly, you can stretch the battery life out to about 36 hours, but you can also gobble up an entire charge in about 6 hours if you're streaming video. One thing I liked to see was a nicely realized task manager widget. The widget provides a real-time view of how many applications are up and running, and what they're doing to system resources. You can tweak the power savings here and there, but doing that only gets you so far. The bottom line here is you're going to have to charge the device most nights, if not also during the day. 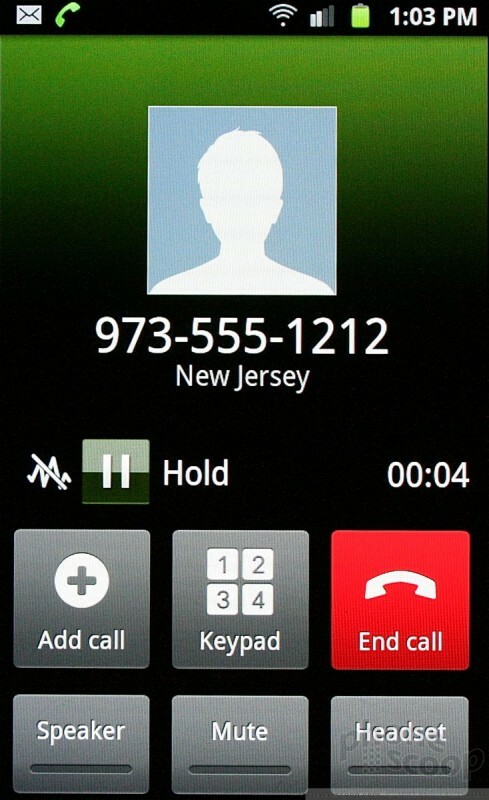 The calling and contacts applications on the Galaxy S II don't appear to make any significant changes over previous Samsung Android phones and works identically to the Galaxy S II on AT&T and Sprint. 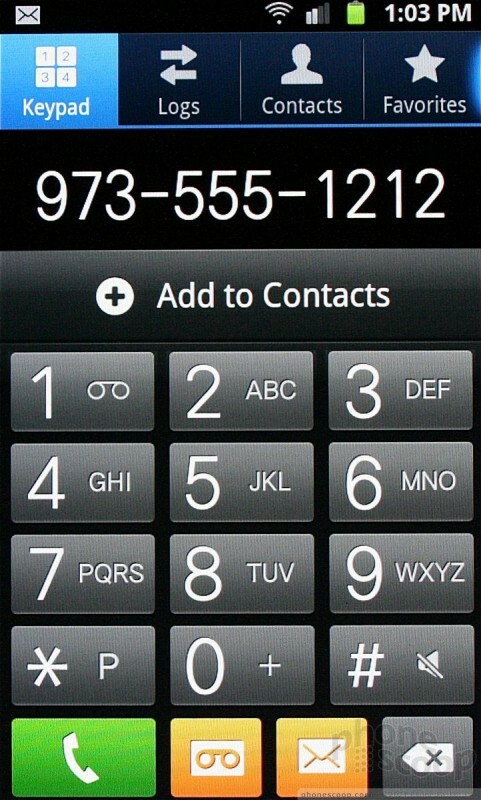 The software dialpad pops up when the phone button is pressed. 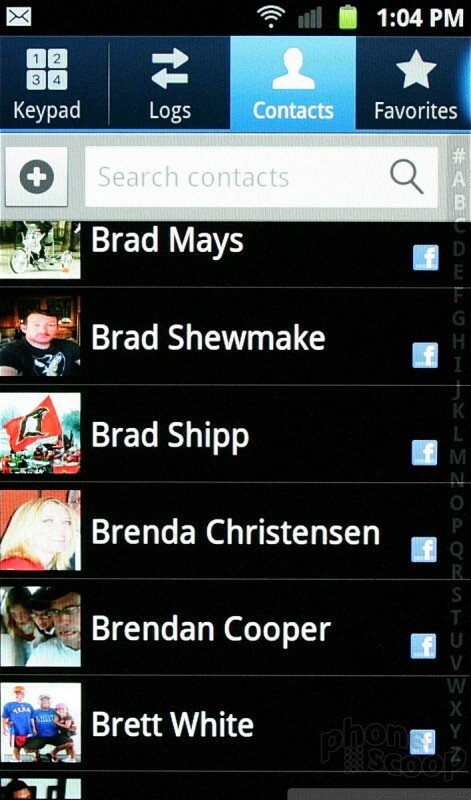 From there, it's easy to access the call log, favorites, and the main contact list. The stock Android messaging tools are on board and cover the basics. The SMS application remains simple yet powerful. Messages are threaded in a conversational style, and media (photos, video, audio) fall in-line with the text. The usual two Android email applications are also present. 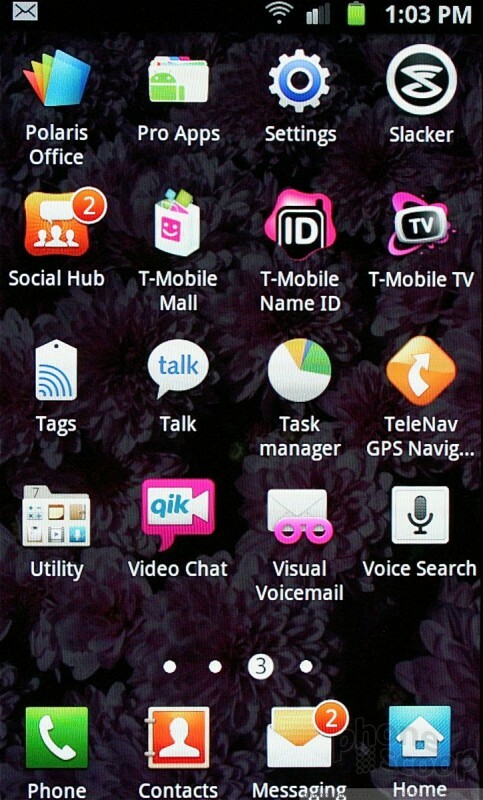 There's the generic T-Mobile email app for POP3/IMAP4 and Exchange, as well as the native Gmail application. On the instant messaging side of the equation, the stock GTalk application is on board for Google users. 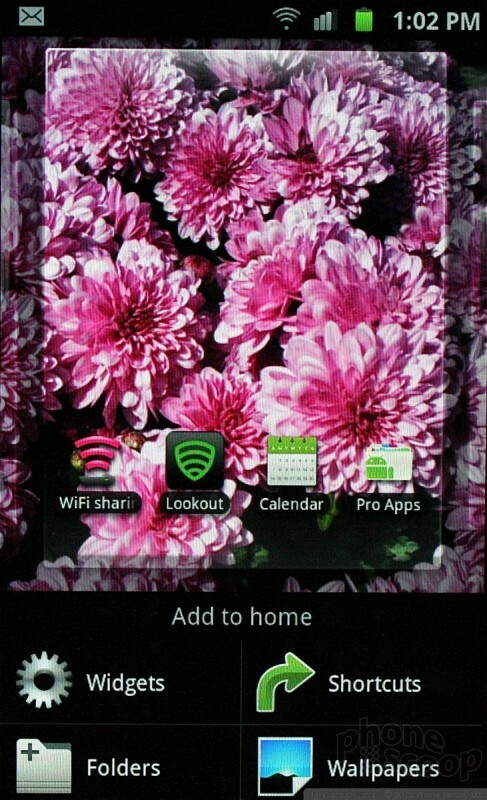 As with the other Galaxy S II variants, Samsung's Social Hub is on board the Galaxy S II for T-Mobile. It lets you manage nearly everything — email, SMS, Facebook, IM, Twitter, even your calendar — from a single portal. Social Hub supports Windows Live and Yahoo IM messaging services, but not AIM. The Hub takes a little bit of time to configure, but once you do, it can be your one-stop-shop for managing myriad communications. It is a convenient tool if you prefer to triage messaging rather than really dive into it. For example, if you wanted to skim through messages quickly, it is easy to jump from Facebook to Twitter and back without having to jump between applications. Speaking of which, Facebook and Twitter aren't pre-installed, so you'll have to download them yourself. Other social network-y type apps/services on board include Google Latitude, but not Google+. Qik's video chat application is also on board, which lets you conduct real-time, two-way video chats with other users of the Qik application. 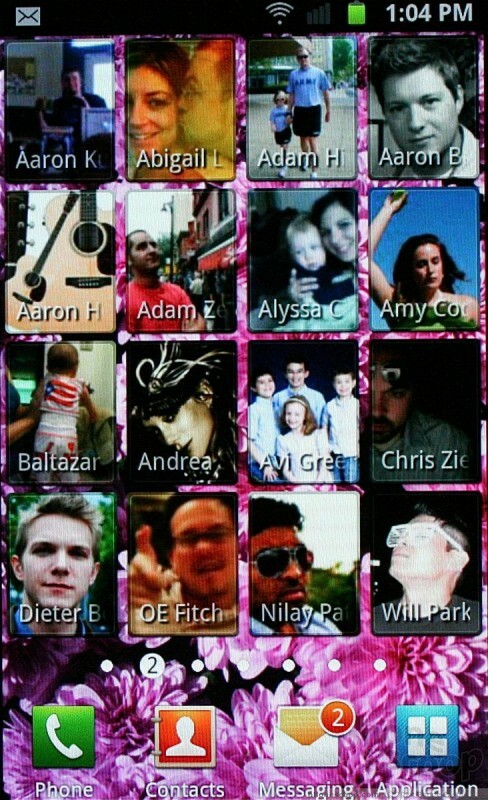 The Galaxy S II for T-Mobile doesn't differ much from its brothers with respect to the camera application. The viewfinder window is busy with controls running down both sides, but there's one awesome difference. The left side of the viewfinder has two control shortcuts out of the box: one to switch to the user-facing camera, and another to toggle the flash on/off. There is a lot of blank space below these two controls. Using the settings menu, you can customize which other controls are in this space. That's very cool. Once you've got the left side of the viewfinder customized how you want, you can adjust the shooting mode (single, panorama, beauty, cartoon etc. ), set the flash, the exposure, or dive into a fuller settings menu. The main camera settings menu is extensive and lets advanced users adjust nearly every facet of the camera and picture-taking experience. Exposure, scene/setting, metering, ISO, and more can all be tweaked. 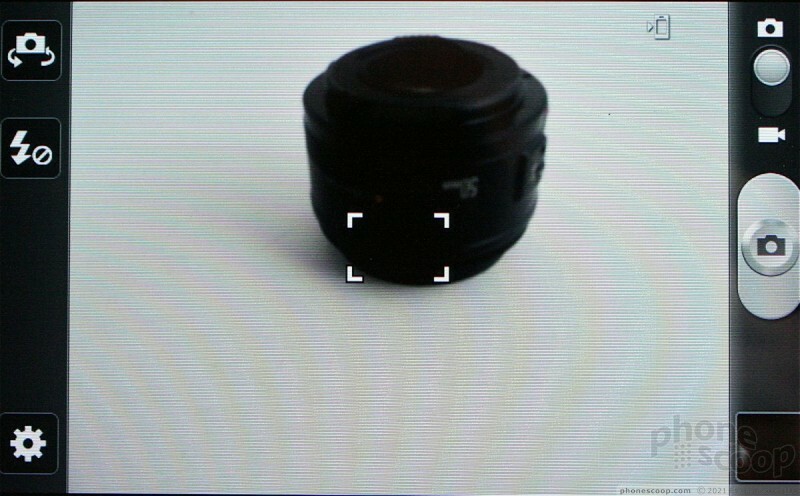 The Galaxy S II has touch-to-focus, and will lock onto anything you want in the viewfinder. 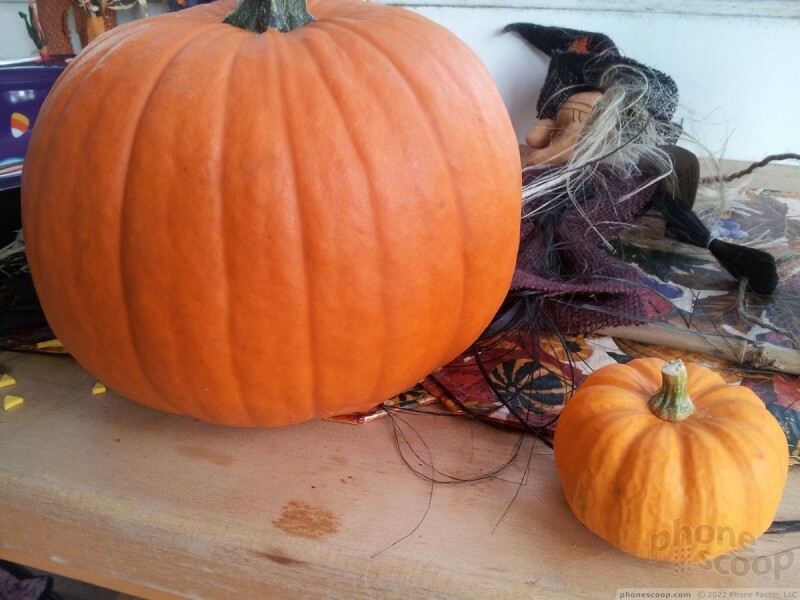 Focusing is extremely fast, and then the image is captured immediately. My one complaint? Just like its siblings on AT&T and Sprint, there's no physical camera button. 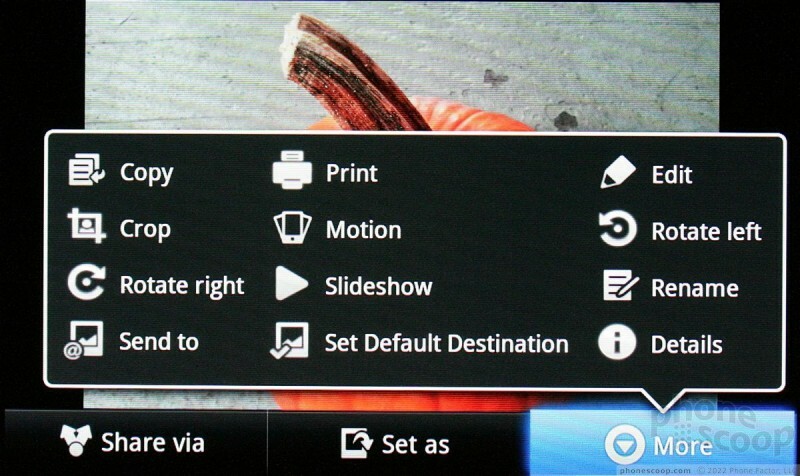 Samsung has given up on including dedicated camera buttons on its high-end devices. 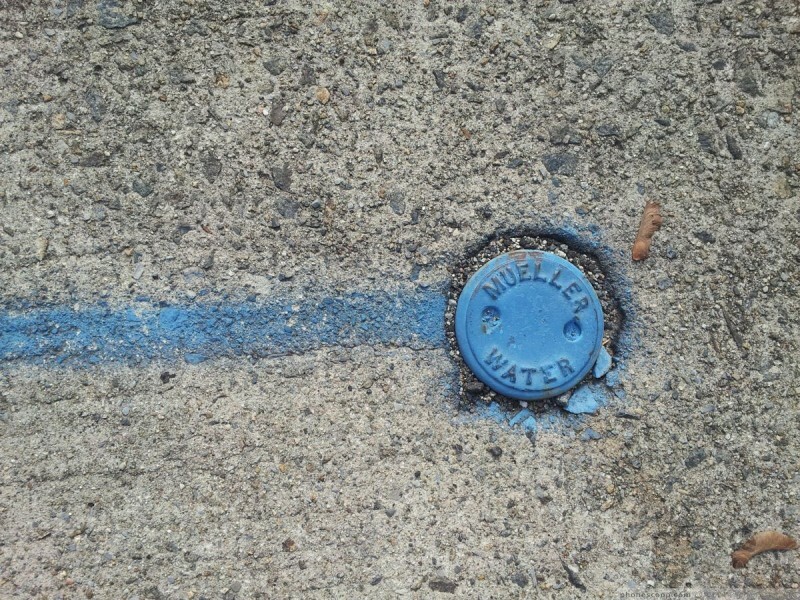 This decision is baffling to me. 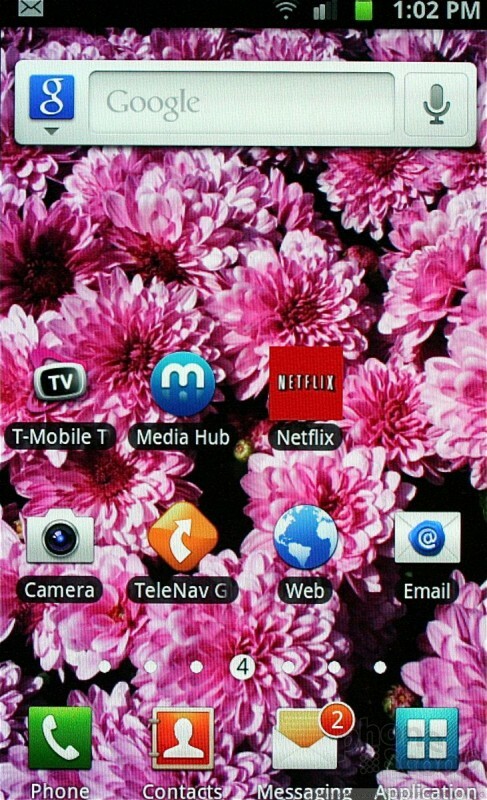 The Galaxy S II makes use of the stock Android 2.3 photo gallery software. Images are stored in floating stacks based on date. The view of the gallery can also be switched to a more linear timeline view. 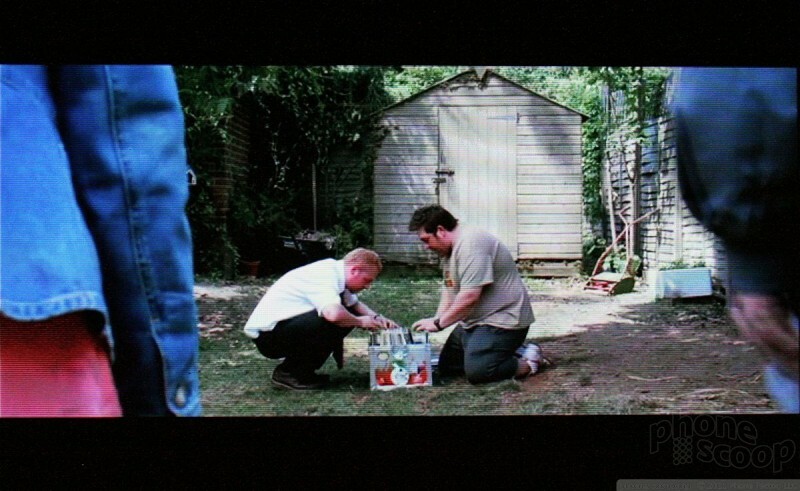 Once you dive into the gallery or photo you want, you'll find more of the same stock Android behavior. The on-board Gallery app is also excellent when it comes to editing photos. 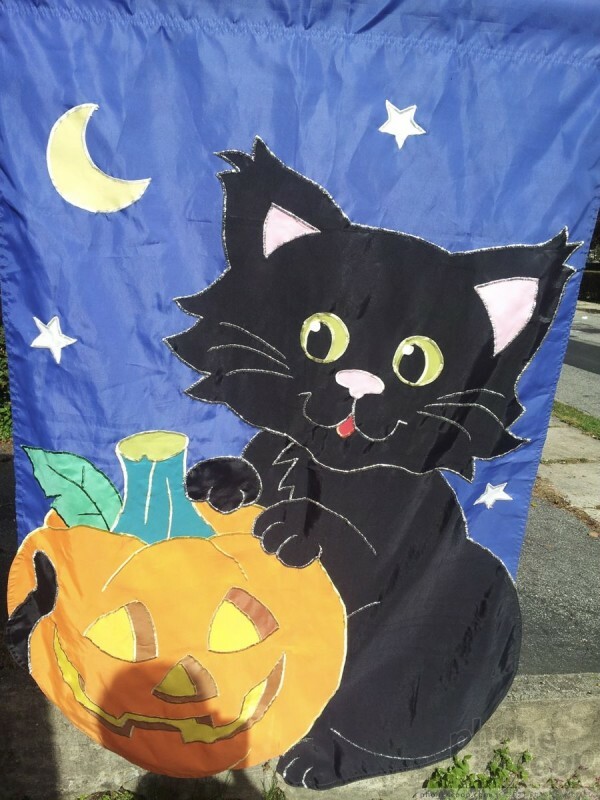 It supports a wide range of tools for adjusting images after the fact, and makes sharing images through MMS, email, social networks, etc., a breeze. 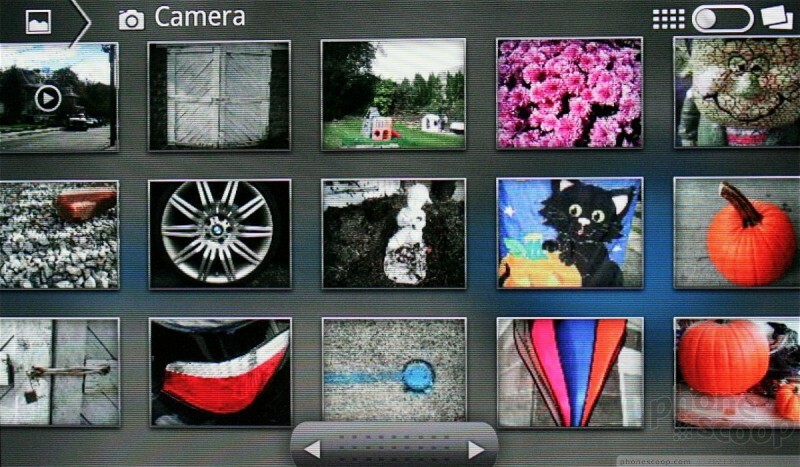 The Galaxy S II also boasts a third-party photo editor application, as did the AT&T and Sprint versions. The application can access photos via the on-board gallery or take new ones and then be used to perform a wide range of edits. Crop, rotate, and zoom are all supported, as is the ability to make selections and copy them to a clipboard for pasting into other apps, such as Gmail. 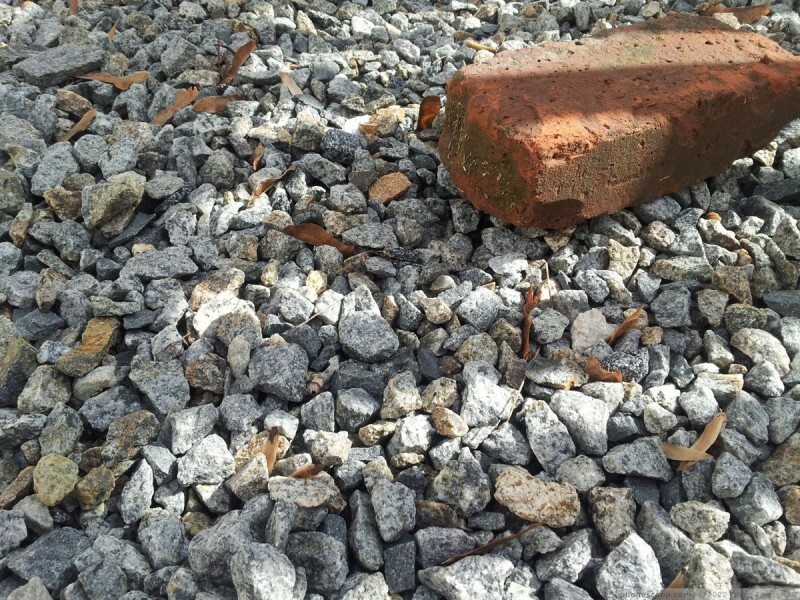 The app also lets users adjust saturation, contrast, brightness, grey-scale, and exposure. It includes effects for added creativity and plenty of options for sharing when you're all done editing. Disappointingly, the T-Mobile Galaxy S II doesn't have the useful video editing application as found on the AT&T and Sprint versions. 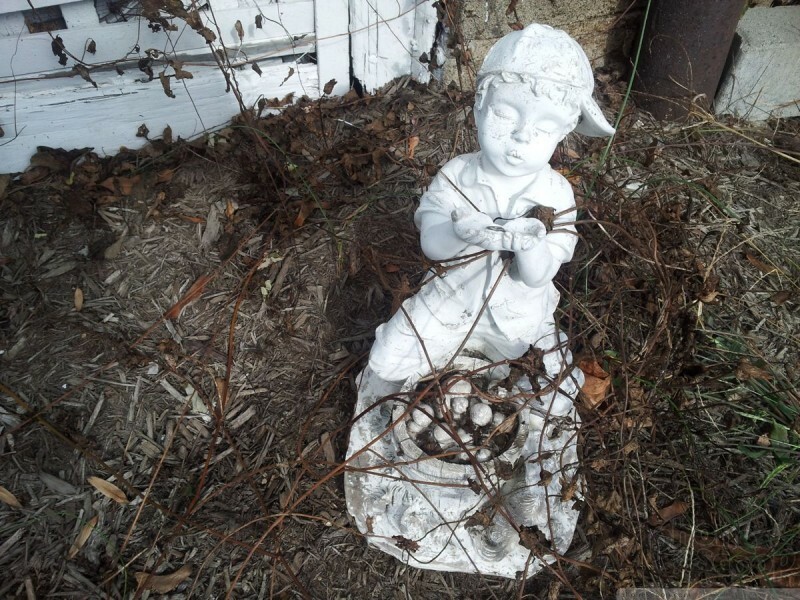 The Galaxy S II's 8-megapixel camera takes outstanding pictures. Focus is sharp enough to cut, colors looked natural and clean, white balance was accurate, and plenty of detail is available in each shot. 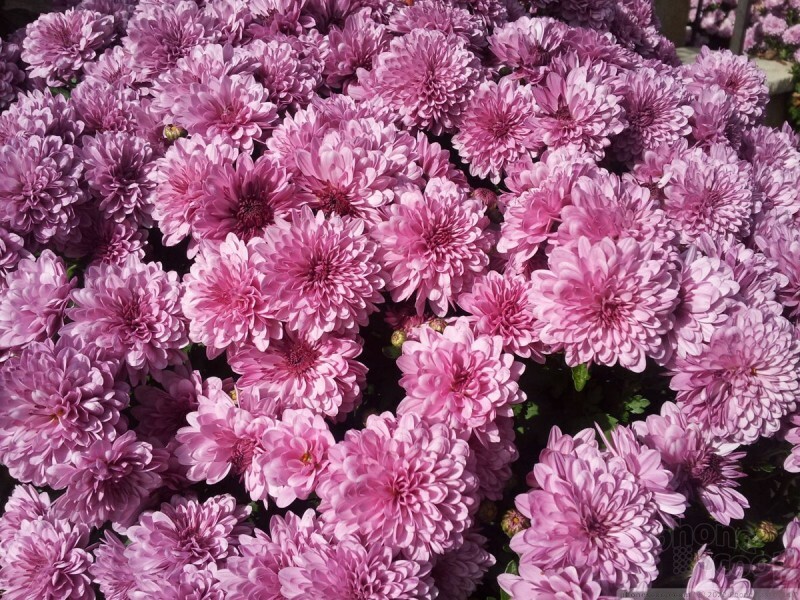 See the flowers below. Notice how you can make out every petal and detail of each bud. The Galaxy S II has a flash for indoor shots, and it performs very well. It manages to avoid some of the white balance problems that occur on other phones when the flash fires. You're going to want to share these photos. 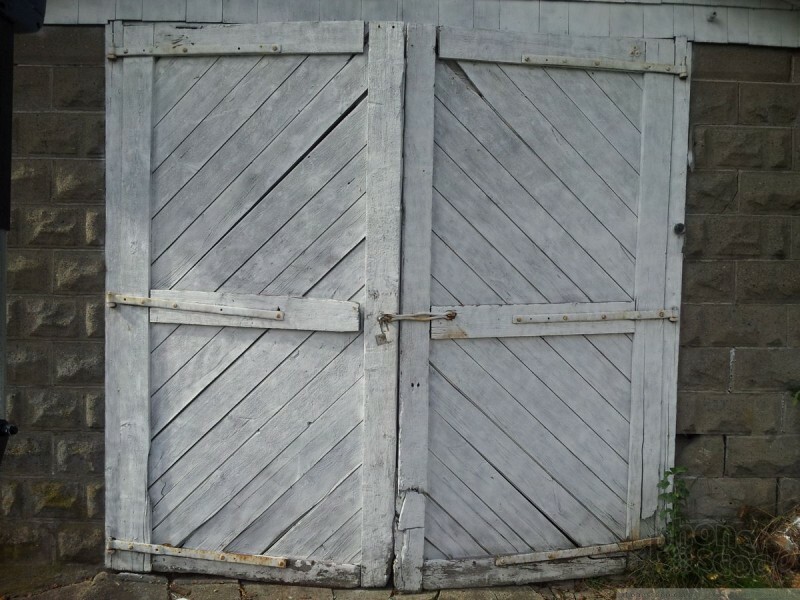 Video captured with the Galaxy S II looks fantastic. I found it to be very accurate and real-to-life. Colors were accurate, exposure and focus were good, and the microphone was sensitive enough to capture every whisper within ear shot. The only issue I saw was the jittery-ness that happens when recording at such a high resolution. It's best to hold the Galaxy S II still when shooting 1080p video, as panning around can create a nauseating effect. 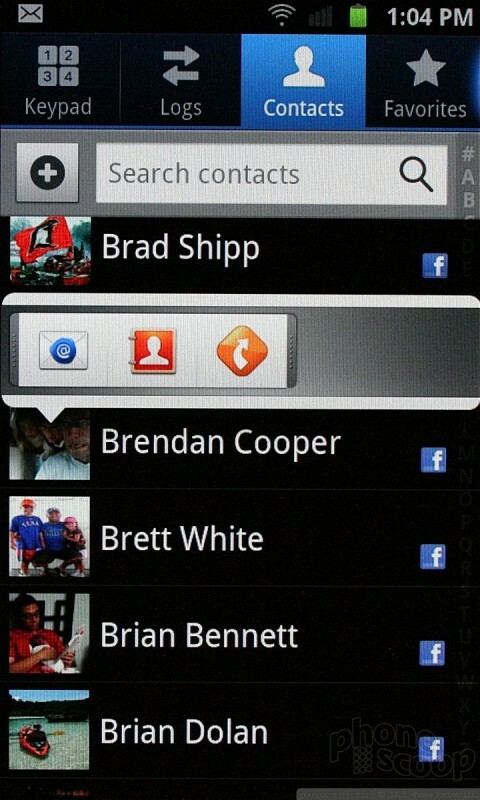 The Galaxy S II has the stock Android browser. As noted many times, it is a highly capable browser that does a commendable job of rendering web sites, both full desktop and mobile versions. Speeds are crazy fast when under 21Mbps and 42Mbps coverage — we're talking faster than Wi-Fi. It's really amazing to browse the web at such speeds on a mobile device. T-Mobile's 42Mbps network can deliver stunning results in the Galaxy S II's browser. Samsung's new version of TouchWiz is a pleasant upgrade from previous versions in that it's not as "in-your-face." The new version of TouchWiz also means that the phone is easier to customize and make your own. With seven customizable home screen panels and widgets a-plenty, there's little you can't control. You can also rearrange the four key apps that are in the main taskbar on the home screens, though it is ridiculously difficult to find the right ontrols to adjust them. T-Mobile loaded plenty of bloatware onto the Galaxy S II. Here's a sample listing: Asphalt 6, Blio, Lookout, Netflix, T-Mobile Name ID, T-Mobile TV, Polaris Office, Slacker, Zinio Reader, among others. I was unable to uninstall these applications using the normal system tools. Worse, T-Mobile also installed three app-finding apps, one called Bonus Apps, one called T-Mobile Mall, and the other called More For Me. These are in addition to the Android Market. Enough, T-Mobile, enough. 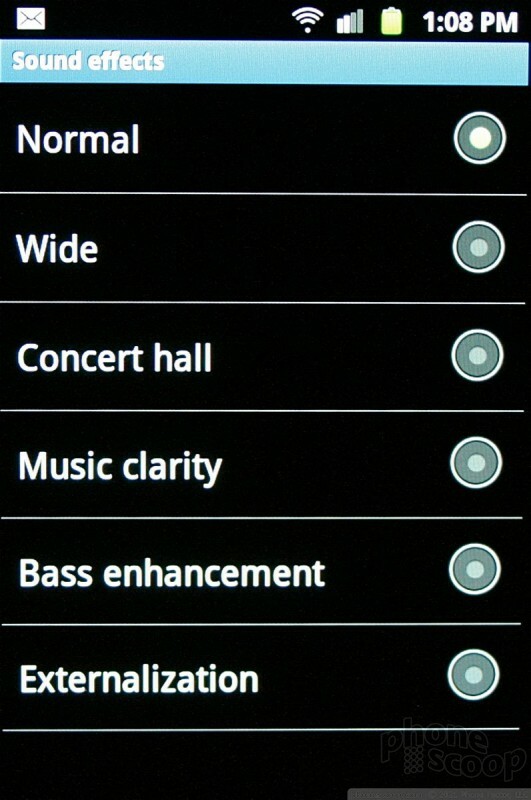 The Galaxy S II supports mono/stereo Bluetooth headsets. Pairing and connecting was no problem, and sound quality through both was acceptable. The same goes for pairing with PCs and other devices to pass files back and forth. As with Samsung's other Galaxy S II devices, the lock screen has a large digital clock at the bottom (or other positions, if you so wish), but I wish the font were thicker or bolder. It can be a bit difficult to see at times. There is also a clock application if you're interested in using a stopwatch, timer, setting alarms, etc. This app doesn't have any effect on the lock screen clock, though. The Galaxy S II includes Google Maps and TeleNav's software. Both do an admirable job of providing navigation, though TeleNav's software is a bit more reliable and faster to respond to real-time situations. Sadly, it costs $10 per month to use. Google Maps is a respectable free alternative. 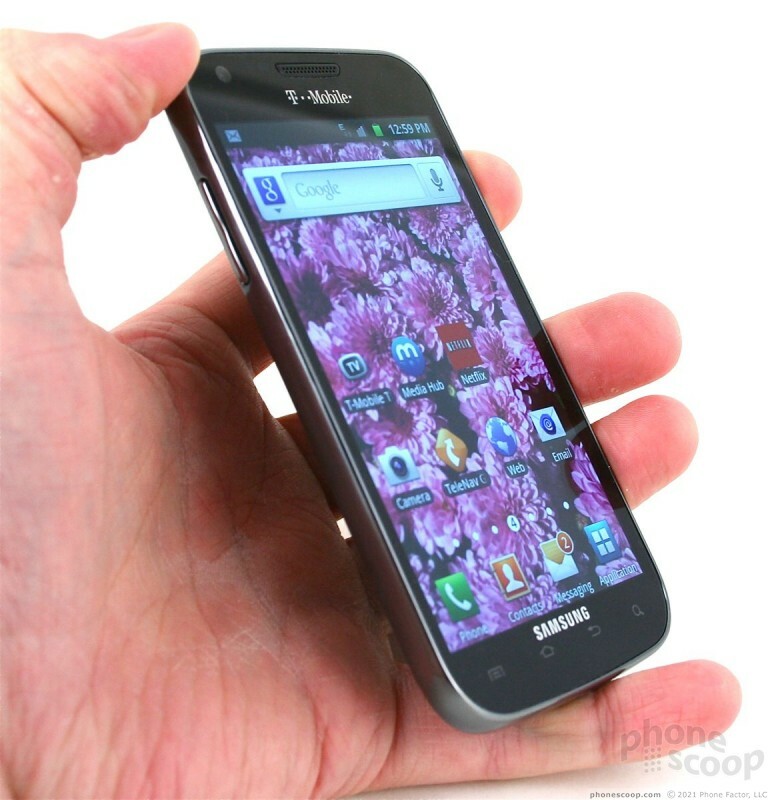 Like the HTC Amaze 4G, the Samsung Galaxy S II is a top-of-the-line smartphone on the T-Mobile network. It checks off the bulk of today's most-wanted features, and does so in a package that feels better to use than previous Galaxy handsets from Samsung. 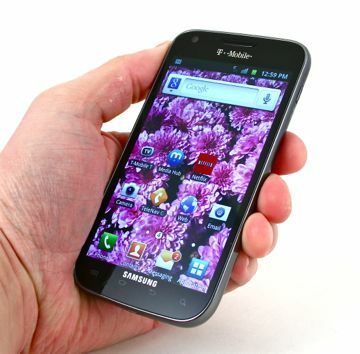 The T-Mobile version of the Galaxy S II includes the best hardware of the bunch, the same awesome display, the fastest wireless performance, and the best computing power. It's a decent voice phone, works well with T-Mobile's networks, though battery life is highly variable. 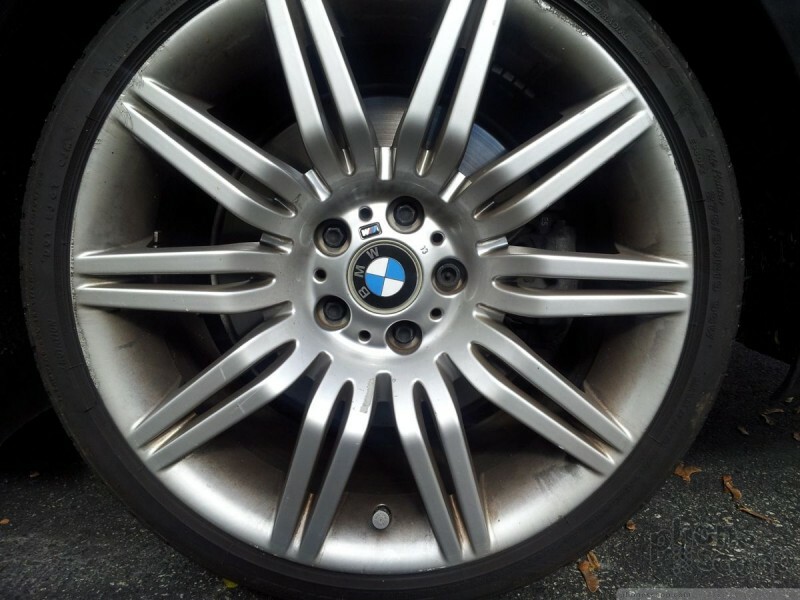 The Galaxy S II's camera is outstanding and delivers consistently good results when it comes to still images and video. 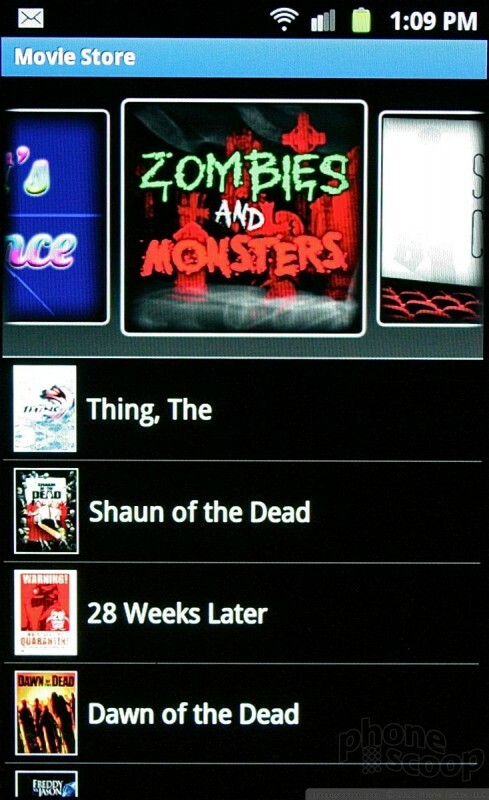 The Galaxy S II offers plenty of options to consume music and video, and the large display is an entertainment center in your pocket. The software experience isn't stock Android, but Samsung's refinements to TouchWiz make it a breeze to use. It is flexible enough that most users will be able to adjust it to their tastes. T-Mobile and Samsung have a winner on their hands with the Galaxy S II. It is as good as the HTC Amaze 4G and gives the iPhone 4S a good run for the money. We can't say that it is light-years ahead of the competition, but it outshines them by a galaxy.